The requirements start early in the morning and end near midnight. Two to three hours of sleep—in a bed if you’re lucky—and it’s back to the setup for another cycle of live shots upon live shots. All the while you’re stuck in the middle of rising and pouring water. There is little leeway to move around and take a break. And every so often, a call comes instructing you and your team to move to another location. There is hardly time to digest the extent of the calamities in each stop. All you can do is take the requirements as they come, knowing that airing them can pave the way for responses and solutions. The week was supposed to begin with follow-ups to two big news coverages. First was the pork barrel funds scandal and the yet-unfruitful hunt for its suspected culprit, Janet Lim-Napoles. The second was miles south in Cebu, where rescue teams scoured for passengers cast to sea by a collision of ships. An unrelenting torrent of rains the weekend before that changed the tone of the entire week. Our news field operations team had been keeping vigil at the offices of the Department of Justice (DOJ) and the National Bureau of Investigation (NBI) the week before in case Napoles & Co. were caught. In Cebu, a satellite team prepared to air TV Patrol’s live reports of the sea tragedy with anchor Noli De Castro and newsgathering crews from ABS-CBN Manila and Cebu. That and a few live features for morning show Umagang Kayganda (UKG) made up our initial location assignments for Monday, August 19. 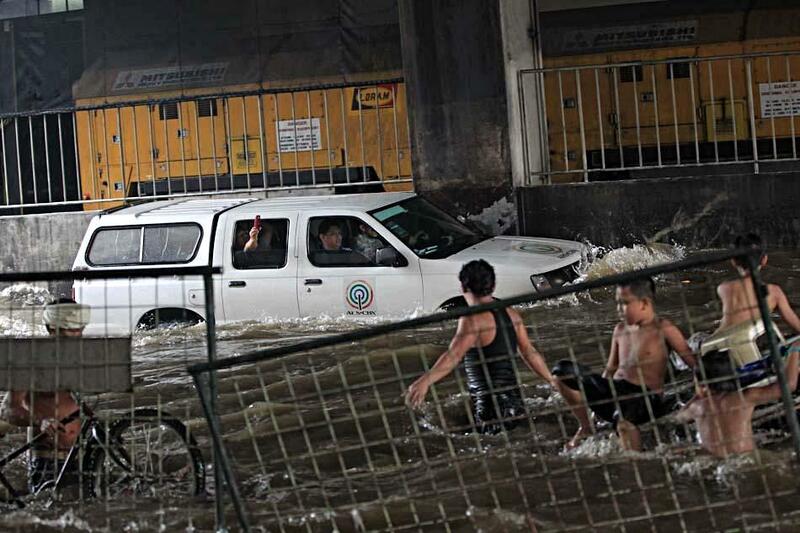 But as the day progressed, waters rose throughout Metro Manila and the surrounding provinces. Classes were already suspended the night before. Residents in the worst-hit scrambled to the roofs of their homes. Others trickled to evacuation centers. Cars were stranded in submerged expressways. Typhoon Maring lounged way up north but was too far to directly cause havoc. It became clear that the growing story was the comeback of the southwest monsoon that inundated Luzon last year. Now, Maring had made Habagat stronger. ENG vans on standby at the DOJ and NBI were moved to flooded spots in Laguna and Bataan. A team that aired a feature for UKG in Quezon City was supposed to transfer to the Maritime Industry Authority office for updates on the Cebu collision. Instead it proceeded southward to Kawit, Cavite, where the strong currents already reached chests. A team from TV Patrol’s production staff followed there. Already less some of its staff due to Noli De Castro’s anchoring duties in Cebu, TV Patrol dispatched another team bringing audio, lights, and a teleprompter. From Cavite, Korina Sanchez would lead-in the newscast’s live and taped reports on the Habagat. The floods slowly receded that Monday night, but the rains repeatedly turned on and off. By then, the news desk in Quezon City decided to fix the deployed teams for the night in their locations. Hardly any of the crews would be relieved. They were advised to look for lodging. Some however, like those in Dinalupihan, Bataan, could find none that was open. Getting food was another thing—many ended up eating takeout. At 3 a.m. Tuesday, our team staying at a hotel in Biñan, Laguna was told to move to Noveleta, Cavite. The flooded town could finally be reached by vehicles, and the news crew that got there first found strewn garbage and mud all over. ‘Diverts’, as we called them, were the order of the next few days. One team started the day with a live feature in the FPJ Studios for Fernando Poe Jr.’s birthday. 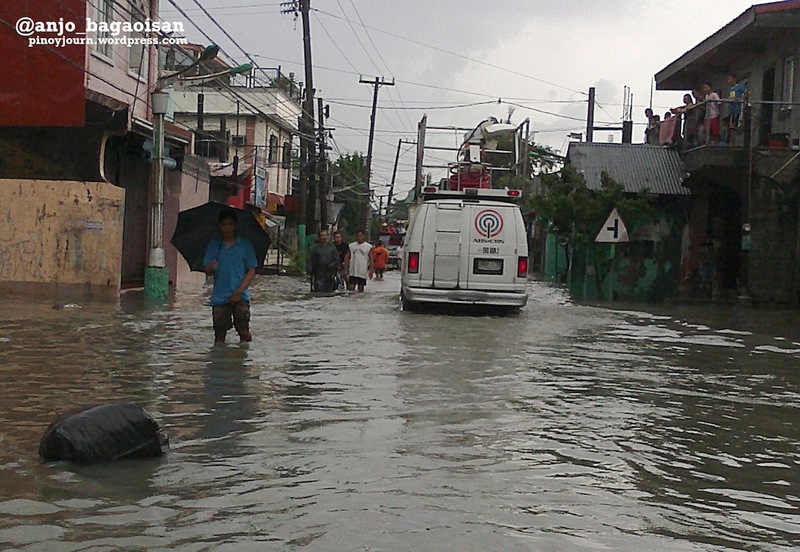 By lunchtime they were airing shots of a flooded Araneta Avenue. But for TV Patrol, they moved to the Marikina River banks for Niña Corpuz’s live report on the river level. The Noveleta team found themselves rushing back to San Pedro, Laguna to air President Benigno Aquino III’s quick visit to an evacuation center there. The next day, they returned to Cavite for another P-Noy stop. 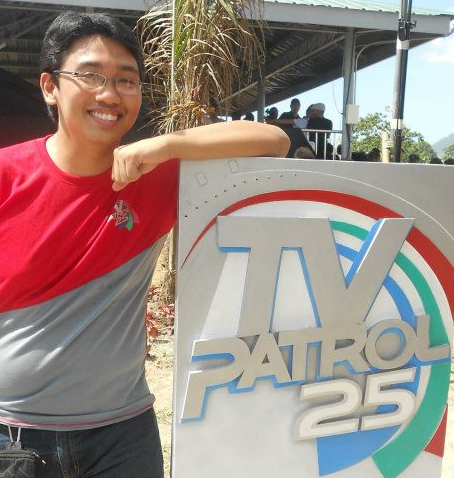 TV Patrol continued its remote anchoring. Korina Sanchez and team next visited Bataan. 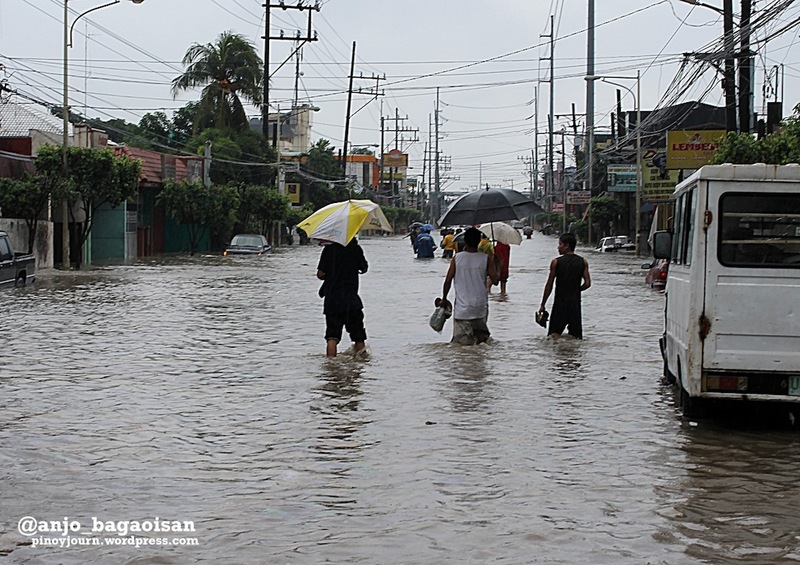 And after two more days in Cebu, Noli De Castro waded the floods of Pampanga and Bulacan. The key to a live anchoring or reporter standup in the floods is finding a dry, elevated spot for the ENG van or satellite truck safely nearby. Once the crucial electronics are secured, the camera and the anchor can approach the water. As the week drew to a close, the videos of destruction gradually gave way to residents huddling in evacuation centers and others trying to return home. 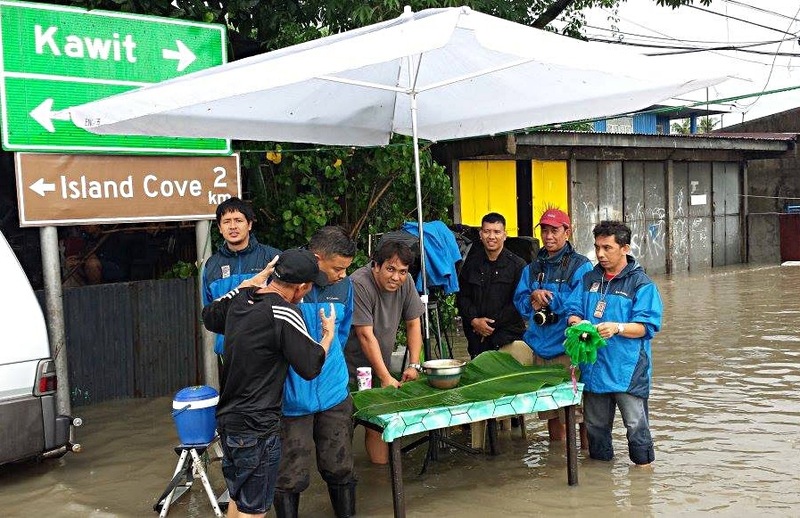 A cameraman transmitting by broadband was sent to Manila to cover the siphoning of water from the submerged Lagusnilad underpass. 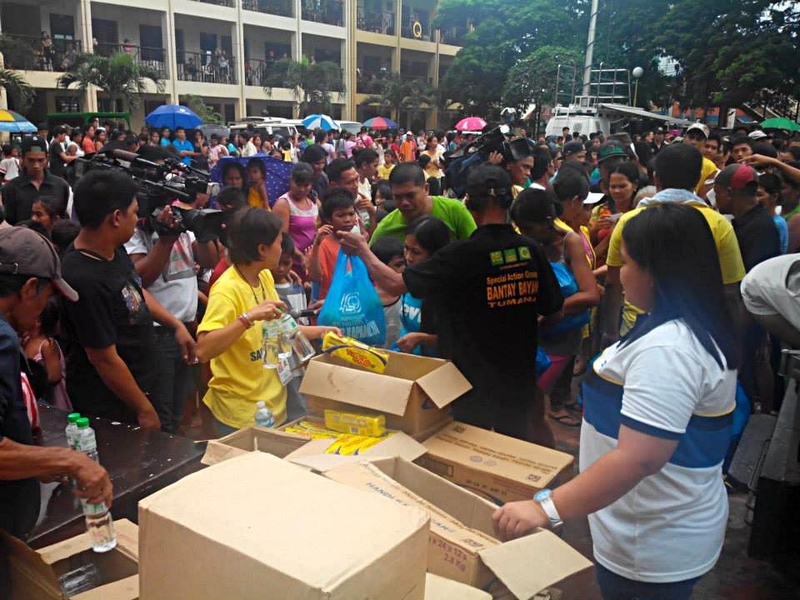 The stories moved on to aid and the lighter side Filipinos mustered up amidst the calamity. An ENG van was diverted to Sagip Kapamilya’s warehouse in Examiner Street in Quezon City to cover the influx and packing of relief goods. One by one, the ENG teams were allowed to return to base. It was a relief for one team that had been braving winds in Aurora Province from an earlier typhoon since August 12. By Saturday, only one remained—the team in Bulacan which was put on standby in Malolos for the weekend, in case the approaching Low Pressure Area turned rogue. At least, at last, sunshine took the place of rain. We showed peeks of it on live TV. We heard officials hint and warn of the changes it would make. 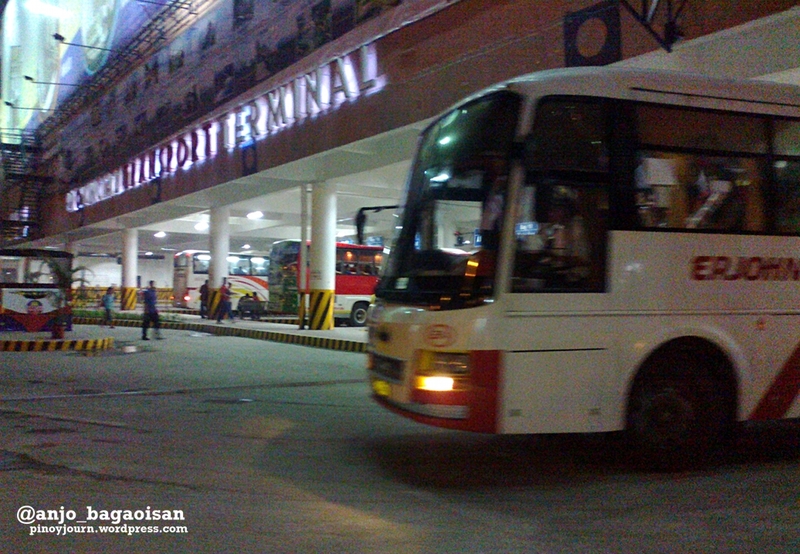 But only when the Southwest Integrated Bus Terminal opened at the Coastal Mall in Parañaque did we see its full impact. 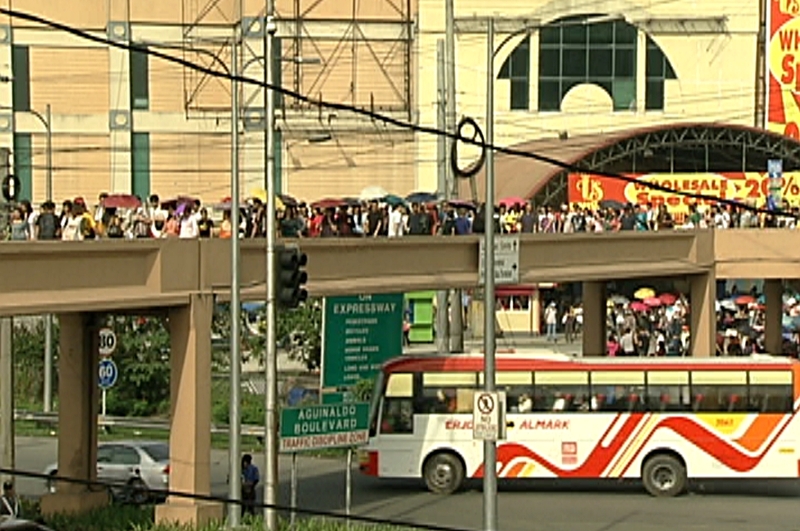 The people behind it saw it as another step in solving the metro’s traffic problem so prominently mentioned in the President’s 2013 State of the Nation Address. For a number of the commuters it affected, it was nothing but another strike in a series of poorly-thought-of and inconsiderate policies that gave more problems than they solved. 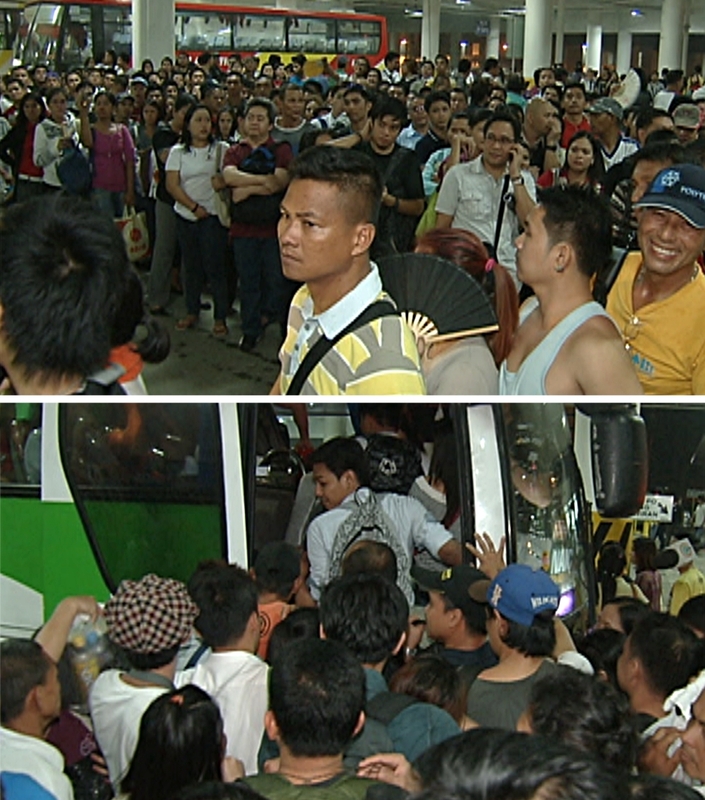 On August 6, bus-riders from Cavite and Batangas were surprised to find that their trips to Manila and EDSA now ended at Parañaque. They knew about the week-long ruckus in Manila when City Hall blocked buses from entering the city. But hadn’t some buses been allowed back in so long as they had terminals there? A woman who boarded a bus in Cavite was told by the conductor that they were now only going so far. She loudly began decrying Manila Mayor Joseph Estrada, little knowing that the man behind this new move was also aboard that bus. Metro Manila Development Authority (MMDA) chair Francis Tolentino simply smiled as the reporters traveling along turned to see his reaction. 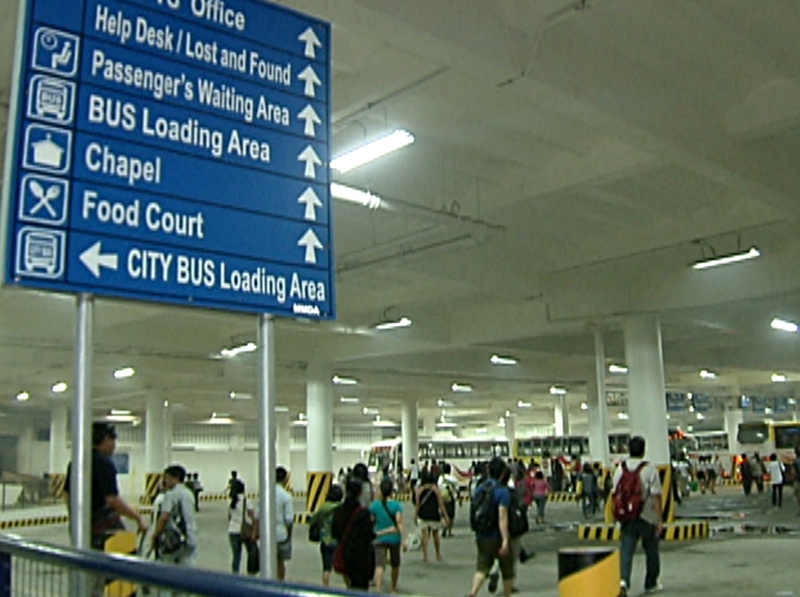 The MMDA had long been planning to cut off buses going into Metro Manila from the surrounding provinces, and the Southwest Terminal was its corner for southern buses. But for the terminal’s first three days, the morning rush saw a mass of ride-less travelers occupy the northbound side of Roxas Boulevard and joust for trips. The connecting rides to the metro they expected were either missing or sparse. When reporter Pia Gutierrez asked them, their reactions were heated and impatient. Their rides were stunted, their pocket money drained, their appointments delayed. “Sana matupad ang gusto nila, pero sa amin pahirap ito,” one said. “Pahirap” was the recurring retort of exasperated interviewees trudging the overpass between Coastal Mall to Roxas Boulevard —from an elderly man hauling a sack of belongings to a diminutive woman with a limp forced to join the procession up and down the stairs. Good thing the weather was dry, some said. Didn’t anyone anticipate what would happen to them during typhoon season? Even passers-by could not hold off shouting angry asides. Others just saw our camera and volunteered their condemnation. Clearly, the terminal was still in beta phase. A signboard advertised a food court yet to be built. There was already a prayer room and a waiting area that boasted digital monitors of the buses coming in and out. Many commuters, however, told us there must be a better option than this. On the first night, commuters trying to go home scrambled to cram into the buses. With the heat, smoke, and rising tempers, some fainted. 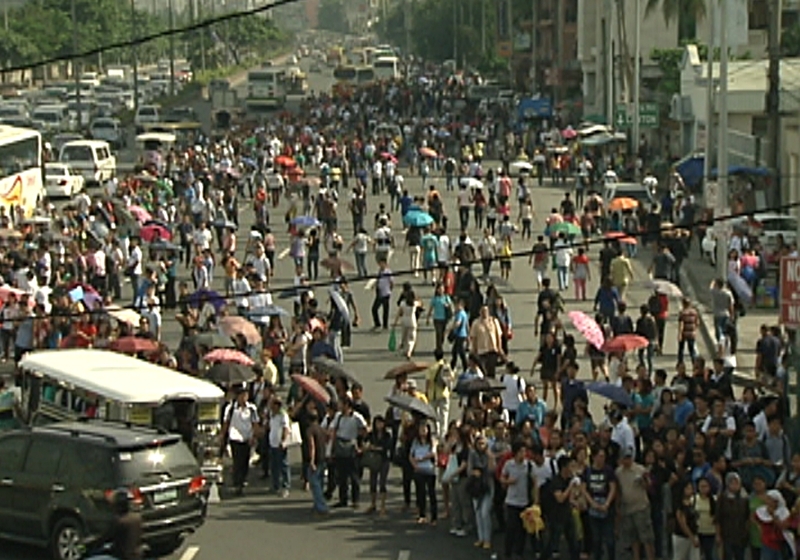 No one paid heed to MMDA personnel striving to put order to the lines. Later, marshals and cordons were put in. What would you expect when you put 1000 buses in one place, Tolentino asked reporters. He admitted that they were still ironing out the snags, among them the long turnover of buses. 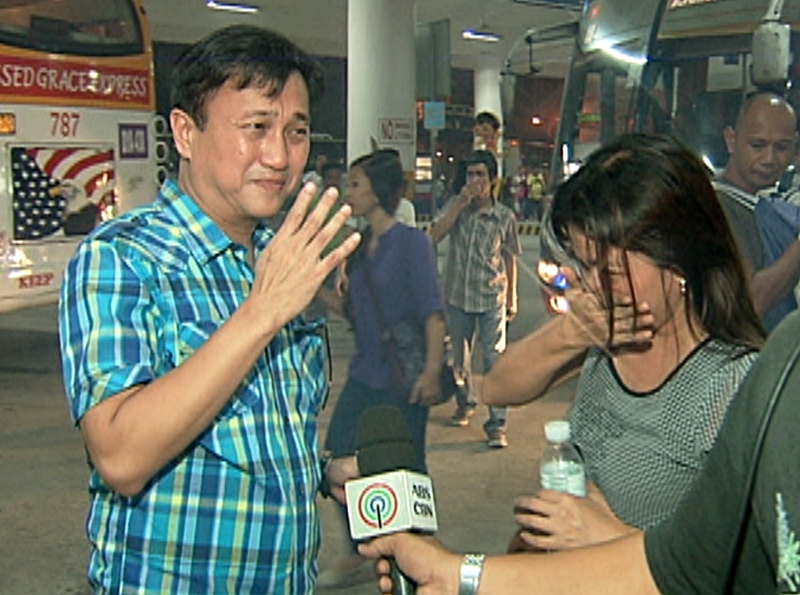 For three days, Tolentino faced commuters who vented out their frustrations on him. The signboards were wrong. They were being dropped too far. Some rides refused to take them. They also raised suggestions. Maybe senior citizens and disabled persons can have their own lounge. The terminal could use more ventilation. And bigger rest rooms. The chairman did not escape that even during interviews with the media. But he welcomed it. When 15 people held a protest there, he said he even wanted to meet and thank them. Tolentino, a former mayor of Tagaytay, told reporters he himself rode buses from Cavite before. A man who only introduced himself as Jun walked around the terminal one night looking for Tolentino. He said he was a businessman who returned to the Philippines after 13 years managing workers in Japan. Jun did not commute to Cavite, but he visited the terminal right after seeing the situation on TV. “Kung Hapon ang gumawa nito at ganito ang nangyari, nagpakamatay na siguro siya,” Jun said. For him, it seemed the problem was that policymakers lacked concern or even love for the citizen’s welfare. Thus it was easy for them to implement guidelines without thinking about its consequences for the ordinary person. Jun had his own ideas to offer to the MMDA chairman. One was letting one bus company run rides for a week. There was no indication though that the two men met. Indeed, transportation is one issue aside from commodity prices that makes Filipinos opinionated about how their government is working. If the loud cacophony of criticism at the terminal was not enough, there were others elsewhere. That week, a petition demanding that officials ride public transportation at least once a week made the rounds online. To one opinion writer, government may be focusing too much on fixing traffic rather than improving public transit. 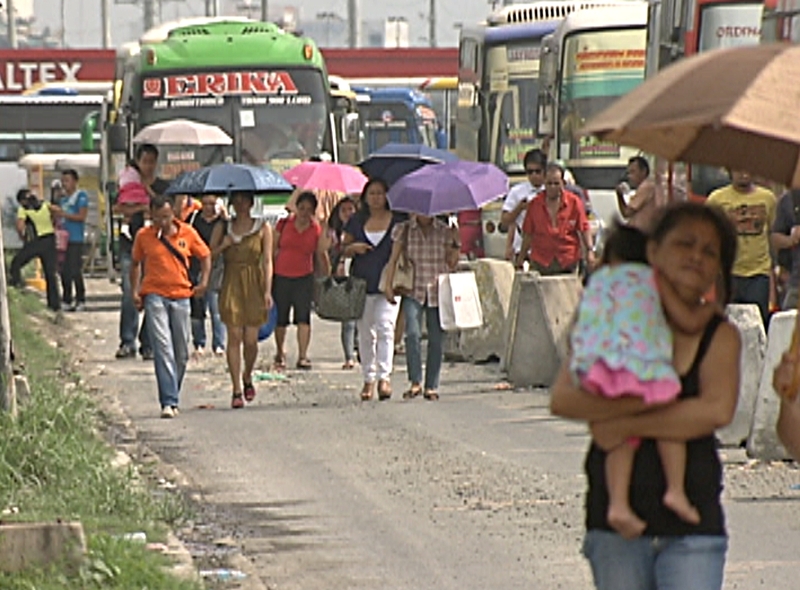 That’s considering 80 percent of Filipinos in the metro commute rather than drive privately. At least the responses were not all flak. Chairman Tolentino was also approached by people happy about the reduced congestion. One gave him a thumbs up. “Sa una talaga may problema,” said another. But if the long lines there at the end of that first week are any indication, it will take more tweaks and renovations before metro commuters get used to a change in their trip routines—all in the name of discipline. The covered basketball court at the Narra Homes Subdivision in Imus, Cavite vibrated with shouts and music the afternoon of April 4. It was no summer sports league. Instead, Imus was having its own version of the many events enveloping the country since March 31–the start of the campaign period for local positions. 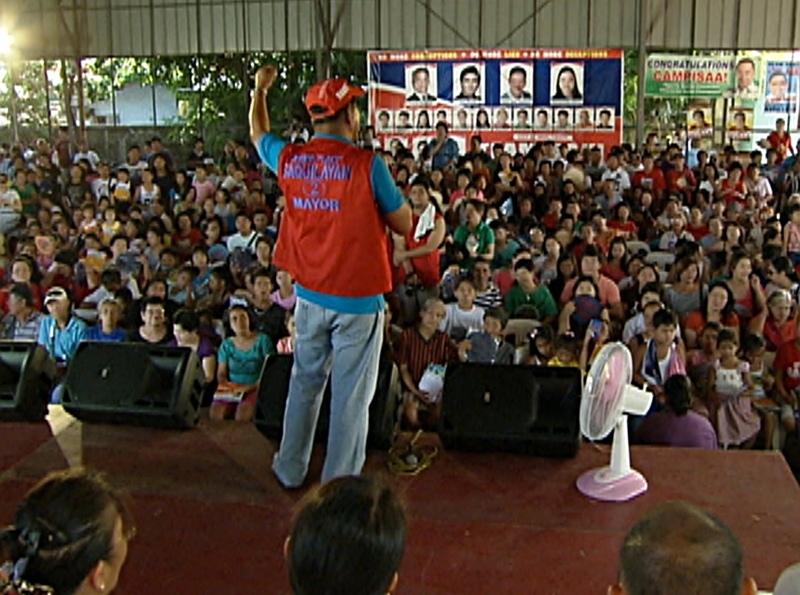 At an enlarged stage inside, the candidates of the “Team Saki” slate–named after their mayoral bet Homer Saquilayan–were working up the assembled supporters into cheers. A live rock band jammed the intro tunes to pop hits like “Call Me Maybe” as each contender was introduced. The contenders are one side of the intense political battle permeating Cavite that spilled into Imus. They wore azure collared shirts printed with lines in all caps: “No more lies”, “No more deceptions”, “No more corruption”. The shirts and the speeches hit at the administration of Saquilayan’s opponent, Mayor Emmanuel Maliksi. The two are at odds over Supreme Court and Comelec rulings in March declaring Saquilayan the duly elected mayor of Imus. Maliksi, however, refuses to leave city hall. But the city candidates (there since noon) were not the only reason for the excited crowd. 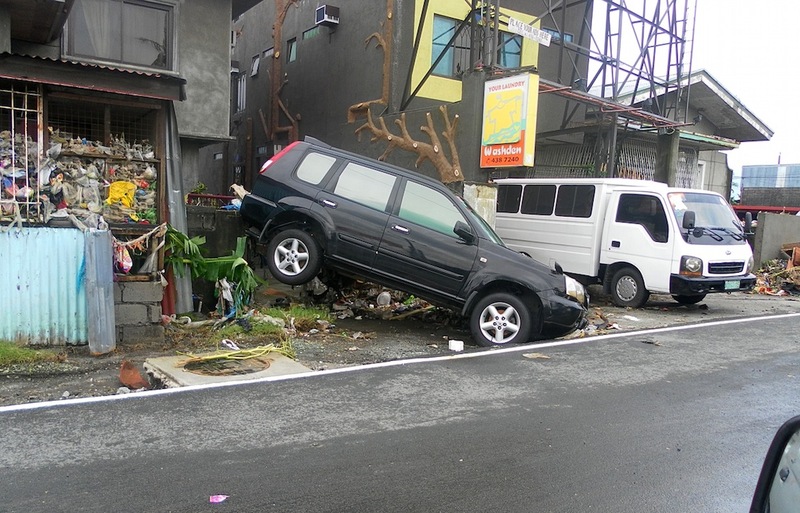 Even the subdivision guards and barangay watchmen outside were racking their heads over the flow of vehicles entering the already-cramped subdivision from the narrow main road. 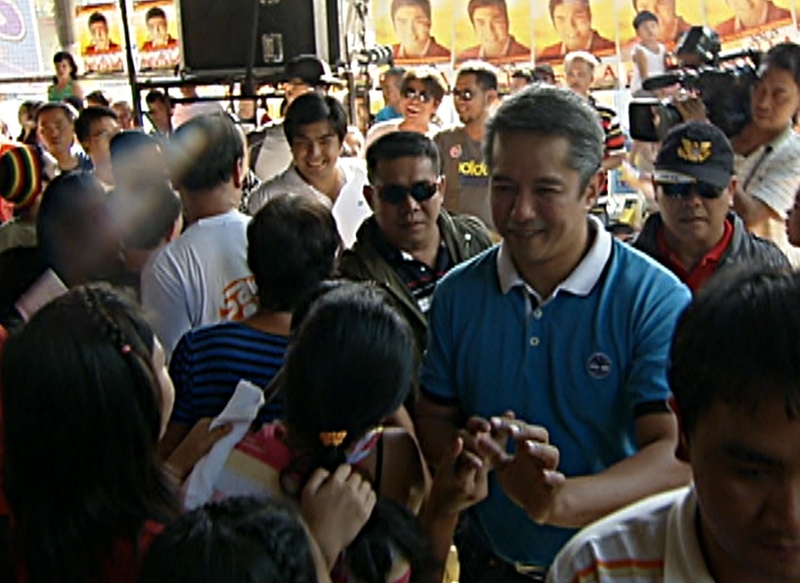 Welcoming streamers announced the main attraction—Cavite reelectionist governor Juanito Victor “Jonvic” Remulla, vice-gubernatorial candidate Jolo Revilla, and Revilla’s girlfriend, actress Jodi Sta. Maria. By 4 p.m., the motorcade of Remulla and Revilla arrived. The governor, wearing a personal collared blue shirt, his running-mate in white, met screams in the court. The band struck up “Mangarap Ka” as the tandem walked to the stage. The opening melody of Survivor’s “Eye of the Tiger” accompanied Saquilayan as he handed the microphone to Revilla. Female shouts of “Jolo! Jolo! Jolo!” met the actor, who smiled and quickly replaced the chant with Jonvic’s name. Soon the band joined in with a beat. Revilla held forth on his accomplishments as a barangay captain in Bacoor for the past three years and the problems in Cavite he assured the crowd he and Remulla would solve if elected. But seemingly he saved his biggest pitch for their votes for last.